PHUKET: Phuket Governor Norraphat Plodthong has ordered that lifeguards be back on patrol at Phuket’s beaches by April 1, reports the state news agency National News Bureau of Thailand (NNT). 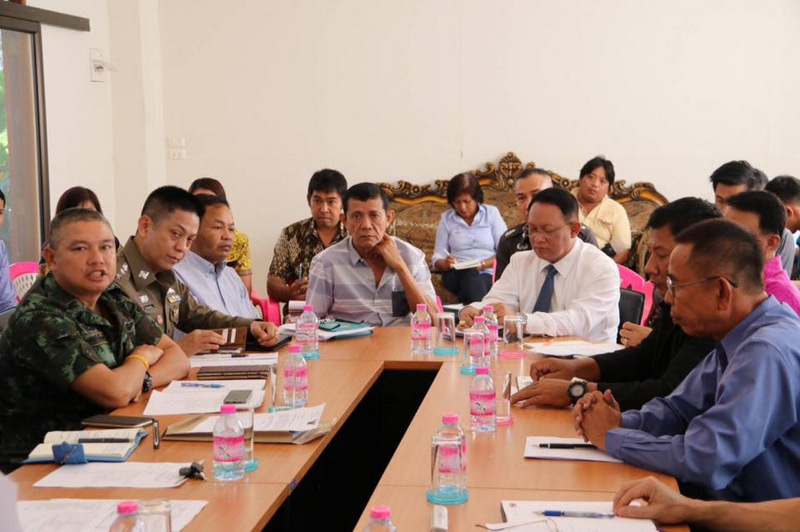 The meeting was attended by Vice Governors Thawornwat Kongkaew and Prakob Wongmaneerung, Phuket Provincial Chief Administrative Officer (Palad) Sakchai Kunanuwatchaidet and others. Also present was Phuket Provincial Administration Organisation (PPAO, or OrBorJor) Acting Chief Watcharin Patomwattanapong, who has been central to the ongoing lifeguard crisis. 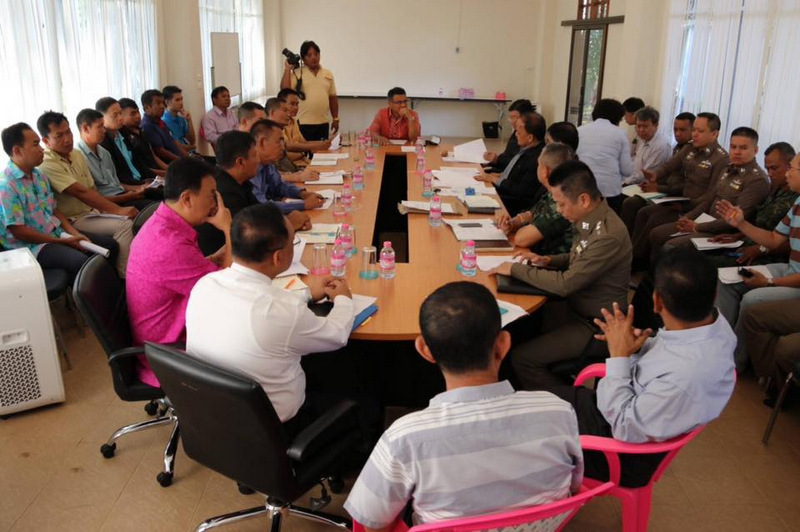 The message read, “Today (21 Mar 2018) 8am Phuket Governor Norraphat Plodthong led a meeting to solve the lifeguard situation. As the PPAO had hired lifeguards for the budget year 2018 for a total of 10 beaches which covered 12 beaches in three districts. 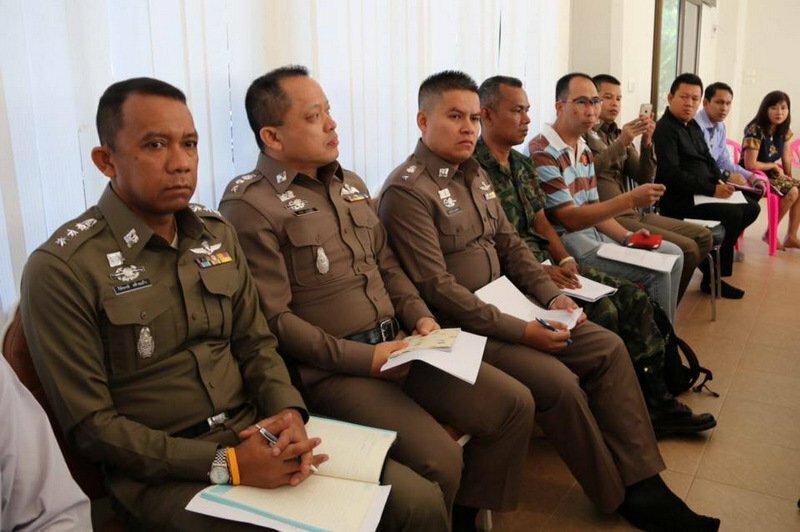 Not mentioned but plainly visible in the photos posted in the Phuket PR report were military personnel and high-ranking police officers, all unnamed in the report. Meanwhile, the NNT report published on Wednesday, claimed, “In the past the PPAO provided lifeguards for two months from Dec 28 last year to Feb 26 for six beaches; six lifeguards at two points at Nai Harn Beach, two lifeguards at one point on Yanui Beach; seven lifeguards at three points on Kamala Beach, six lifeguards at two points at Surin Beach, 11 lifeguards at five points on Bang Tao Beach and five lifeguards at two points on Mai Khao Beach. “In total there were 37 lifeguards covering 15 points [at six beaches]. 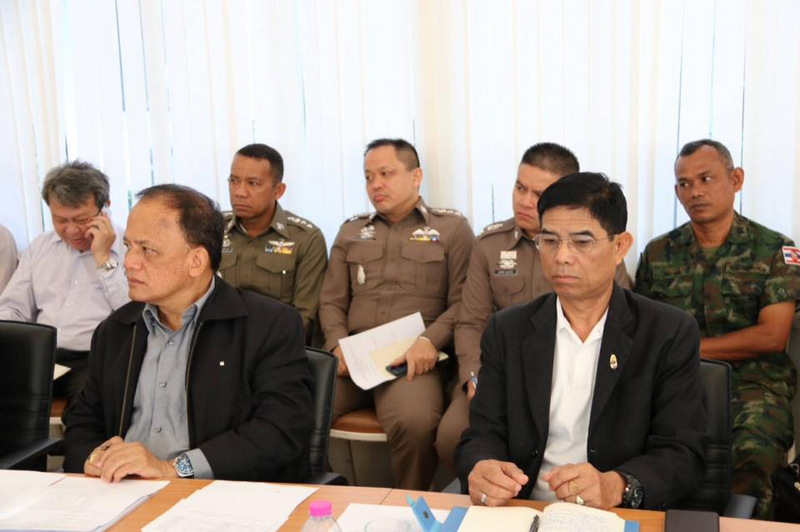 According to the NNT report, Gov Norraphat said, “Relevant offices have to quickly find solutions to solve the lifeguard situation in Phuket in order to bring safety confidence for tourists. However, confusing the issue greatly was that the NNT also reported Governor Norraphat as saying, “A company that passes a procurement will have to start working for Thalang district (Surin, Bang Tao, Nai Thon, Nai Yang and Mai Khao). “Local administrative offices that do not have a budget for six months periods from April onward have to submit documents to request budget support from the PPAO. “For next year’s budget, local administrative offices have to provide a budget for themselves,” Gov Norraphat reportedly said. That explanation for the PPAO to provide “financial support” for the provision of lifeguards followed Governor Norraphat on Dec 12 plainly ordering for the PPAO to be no longer involved. “The PPAO will no longer be involved,” he said. 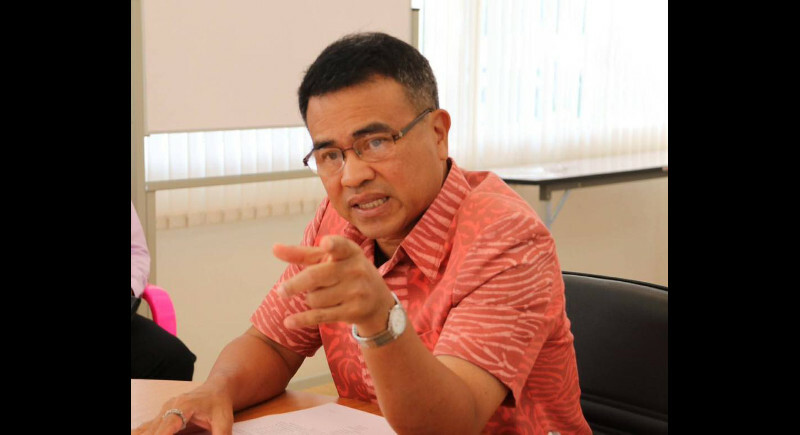 The NNT report gave no explanation for the Governor’s reported change of position on the PPAO’s involvement in providing lifeguards for Phuket’s beaches. Meanwhile, questions sent by The Phuket News to Governor Norraphat last week regarding the state of the lack of lifeguards on Phuket’s beaches (see stories here and here) remain unanswered. For a fuller explanation of Phuket’s ongoing lifeguard crisis and to vote in the poll, click here. “Relevant offices have to quickly find solutions to solve the lifeguard situation in Phuket in order to bring safety confidence for tourists." Until a real contract is made that provides stability and funding, nothing will change. Name me another country were a simple matter as beach lifeguards continuity is such a difficult portfolio as in Thailand on Phuket. Well, they have to hurry, next month Phuket beaches get wind from the west, swell and high waves. And during Songkran holiday thai people, many can not swim, visit the beaches as well.